The Tualatin Valley was once a complex ecosystem of meandering streams and floodplains. In the twentieth century, however, as urbanization challenged creek and surface water flows, the diversity of local plant and animal life suffered, and water quality did, too. Thanks to the efforts of public, private, and nonprofit partners across the basin, not to mention countless volunteers, many of those waterways are thriving corridors once again. Bird, fish, and mammal populations have rebounded. One especially powerful indicator of success is the return of beaver populations to Washington County's urban and suburban settings. Bringing the valley’s natural systems back into tune is a point of pride for the entire community. 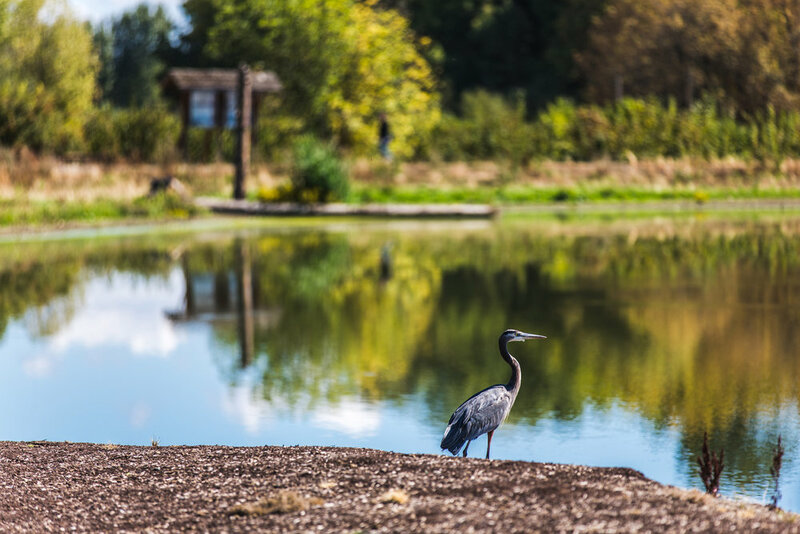 Over the last decade, Tree for All partners have planted almost 10 million native trees and shrubs, and restored more than 140 miles of the Tualatin River and its tributaries. Ecological benefits include healthier water temperatures for aquatic life, improved floodplain management, vital connectivity for bird and animal populations, resiliency in the face of changing weather patterns, and improved water quality for wildlife and humans alike. Credit is due to “great partnerships and a ton of community energy,” says Jonathan Soll, Metro’s Science and Stewardship Division Manager. “We can plant native plants and tend them,” he explains, “and over the passage of just a few years watch nature come roaring back."